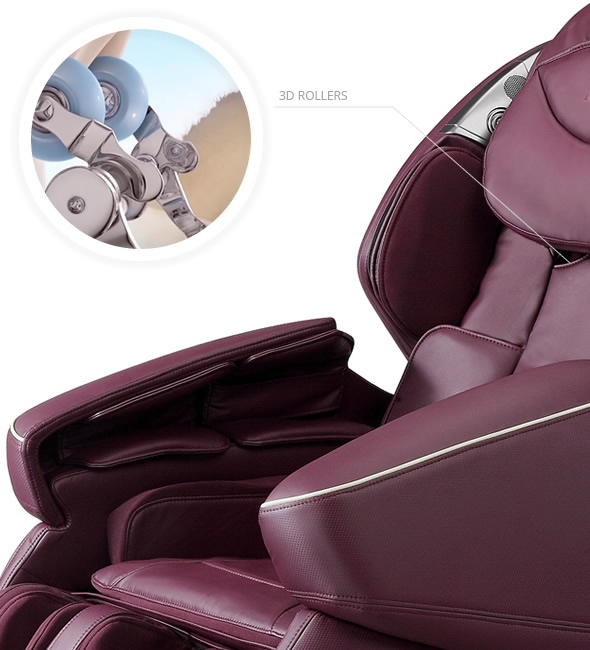 Komoder KM7800 Robotic Zero Gravity Massage chair with feet rollers, bluetooth, negative oxygen ion function, heating function & unique lower back swinging function like Inada Dreamwave. 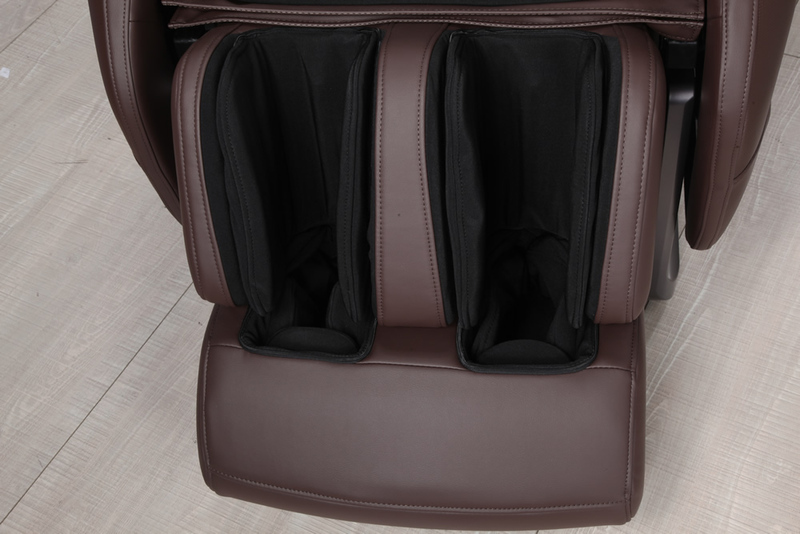 The new Komoder KM7800 massage chair is equipped with a set of 3D intelligent, silent massage hands that can move up and down, stretching forward and backward, as well as sideways. This model is part of the Komoder 2018 Design category launched in January, which makes it the best Komoder massage chair to date. 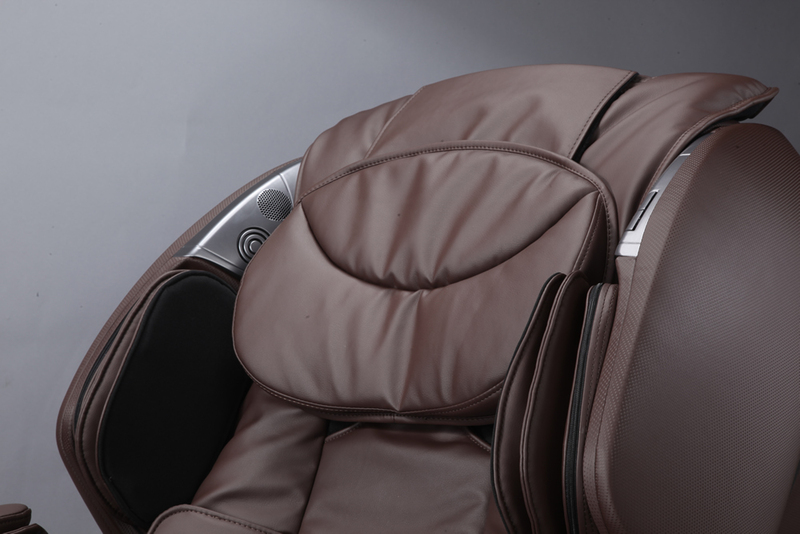 The KM7800 is equipped with a variety of functions, such as: comfort, relaxation, pain relief, quick massage experience, waist stretch, full air pressure, plus a host of other massage functions specific to the new 2018 concept. It is now possible to use your phone in order to control the massage, should you wish to do so. The Komoder KM7800 is the only massage chair which can also be controlled from a smart device, using the free application launched by the manufacturer. 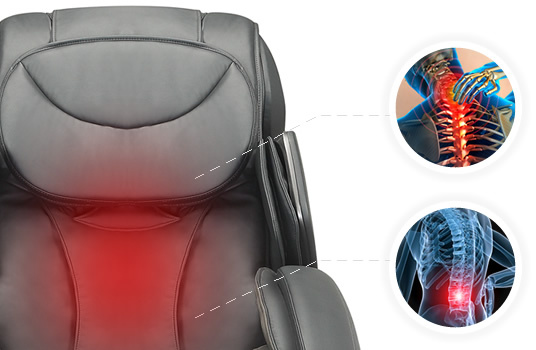 The chair is designed with a manual massage selection function for the upper body. There are 3 massage positions options available: overall, partial, and fixed point. There are 6 massage methods: shoulder gripping, kneading, tapping, shiatsu, kneading and tapping, and 3D. 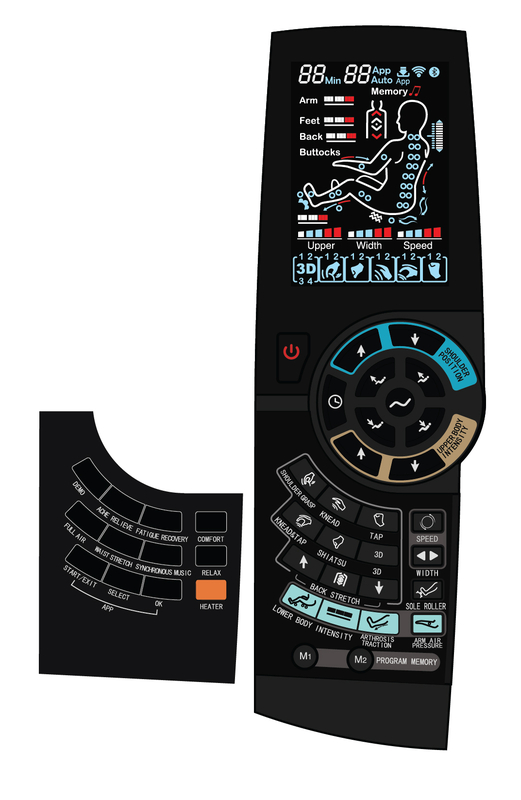 There are 5 speed levels available, and in the case of the tapping and shiatsu massage, you can choose from 5 different width options to adjust the width of the massage hands. Choose a preset massage for an interesting massage experience. 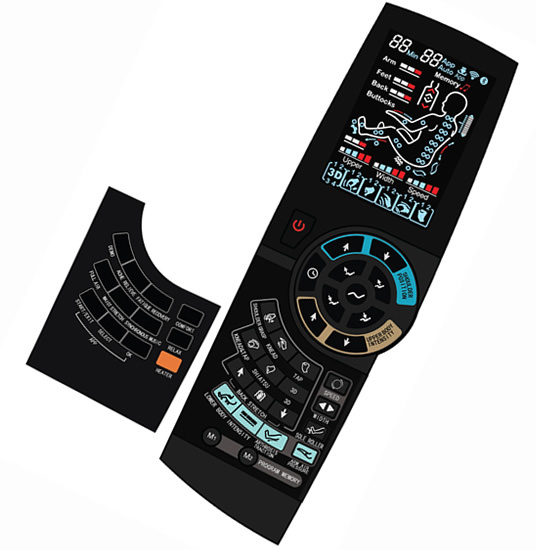 On the remote control, you will find several automatic massage programs, which will offer you a variety of massage methods, different movements, various massage speeds, full air massage, etc. 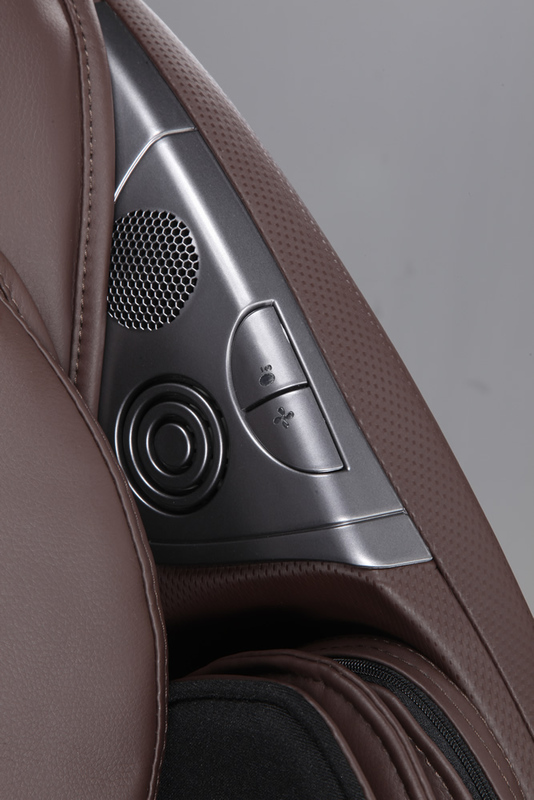 Air pressure forearm massage function (with 8 incorporated air bags), upper arm massage function (with 4 incorporated air bags), with three intensity levels. 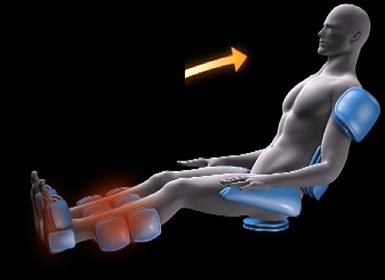 Lower body air pressure massage: air pressure back massage (with 4 incorporated air bags), air pressure buttock massage (16 air bags), air pressure leg massage (36 air bags), with 3 levels of intensity. Back heating function using carbon fiber as a source for far infrared heating. The wavelength of infrared radiation coincides with the wavelength of the human body, which allows the energy to be absorbed by the human cells, activating the cells and stimulating the metabolism. The heating function is recommended especially in winter or during cold periods. This function is not available on any other model. 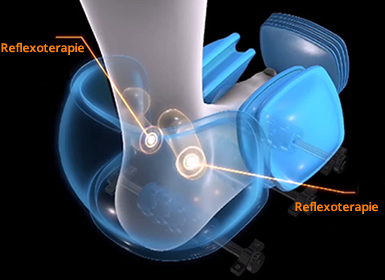 The hip-area air bags activate automatically, fix the lower back area and perform swinging movements meant to relax the lower back and pelvis areas. 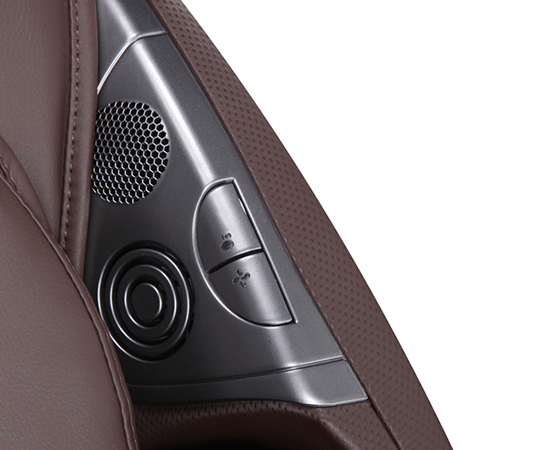 The air bags, which activate and decompress on the back, give the waist a left-right swinging motion. This motion can adjust the spine, in order to effectively eliminate stiffness. 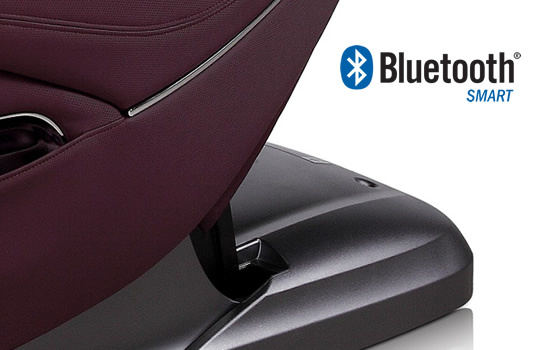 You can now use a smartphone or a tablet in order to control the chair via Bluetooth. Connect to the smart terminal via Bluetooth to play music. 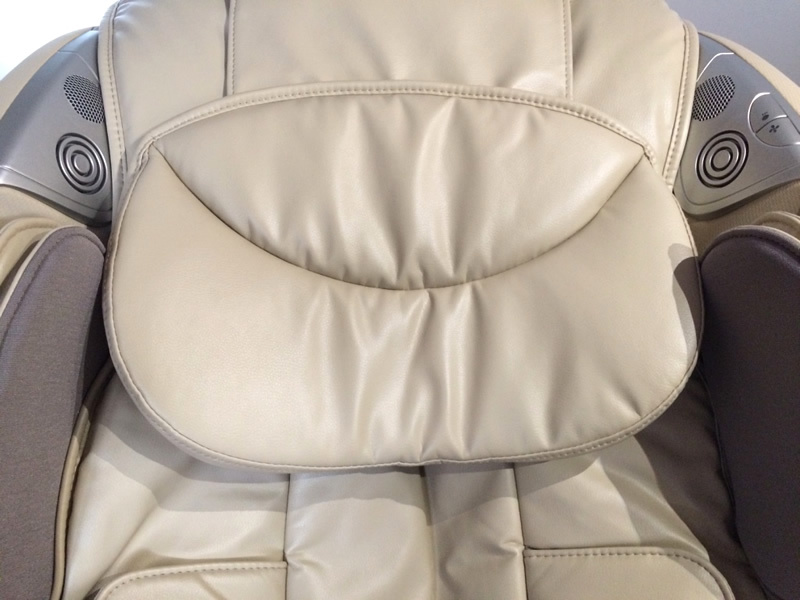 There are two incorporated speakers in the the massage chair. Enjoy your favourite music. 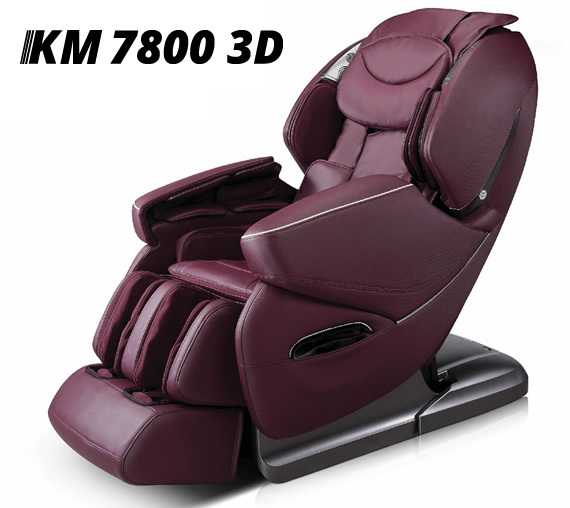 The Komoder KM7800 is a massage chair that can be placed right next to a wall. You only need a 5 cm minimum distance to the back wall. This chair extends in a different manner, because it is designed with a special feature allowing it to slide forward by up to 22 cm when you use the Zero Gravity or extension features. The seat of the chair will slide forward, without touching the floor or the back wall. Negative oxygen ion function - check the left upper arm button. 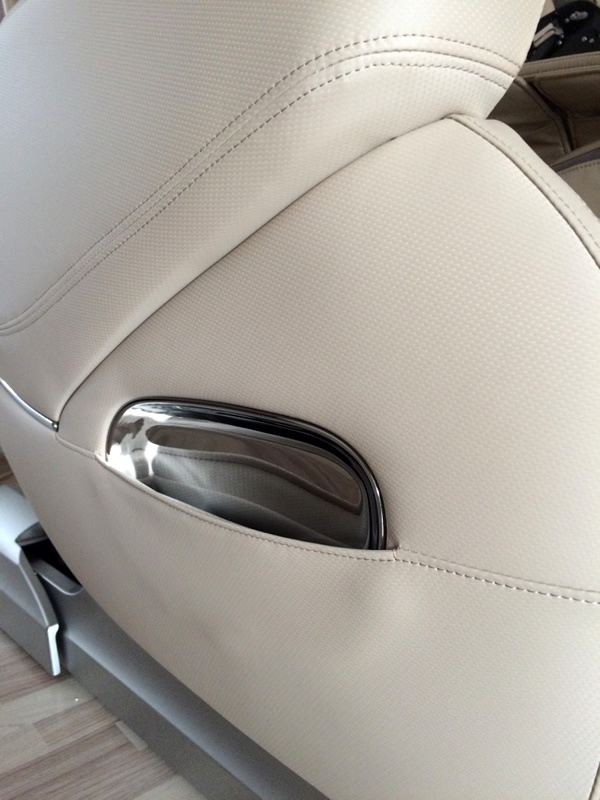 Having an innovative design with negative oxygen ions in the headrest, it can emit a constant flow of negative oxygen ions. According to the national infrared and industrial electric products quality supervision and inspection center verification, the negative oxygen ions have a concentration of up to 240,000/cm3, similar to that of a forest or a waterfall, and help in the spontaneous recovery of the human body. The negative oxygen ions can reduce particulate matter (PM) 2.5 pollution, they can optimize the air in the room, and play an important role in the improvement of the body’s immunity. The foot rest extends freely in order to accommodate different user heights. 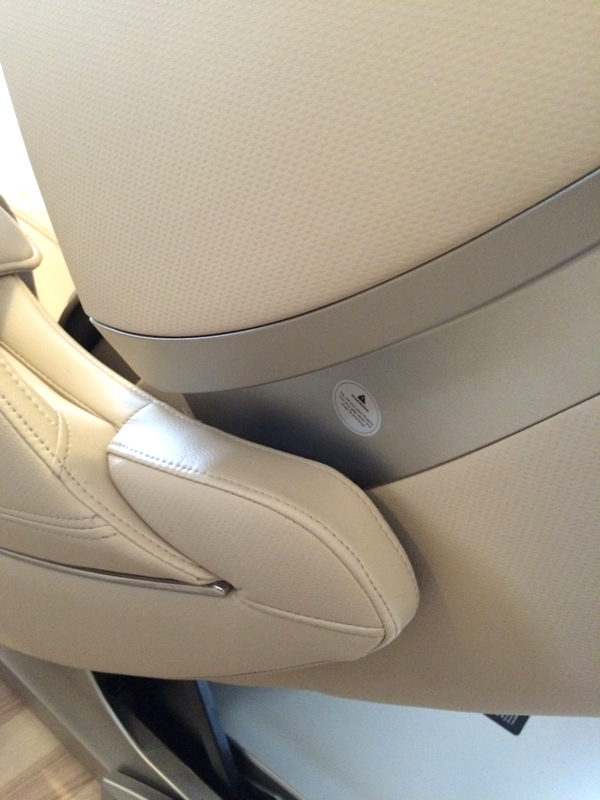 The calf rest is equipped with massage rollers and air bags, plus 8 natural magnets. Different size air bags fully wrap around your calf, ankle, and foot, offering you a triple experience that you will never forget. Apply this method, by which you activate, in succession, the air pressure compression, pause, and evacuation function, in order to stimulate the Xuanzhong and Taixi acupoints, which will bring you perfect comfort and harmony. Emulates human touch and comes with an advanced massage roller technology, providing a Guasha massage similar to that offered by a professional massage therapist. 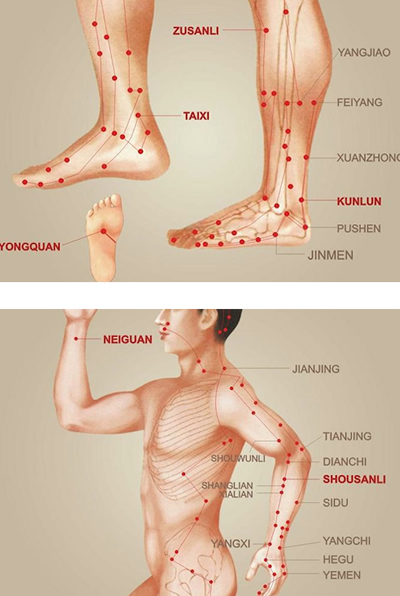 Focusing on the Yongquan point on the sole of your foot, the massage provided can be delicate and constant, but it can also be increasingly stronger. The 3D roller system allows the rollers to move up/down/left/right/forward/backward on your neck, shoulders, back, and waist. 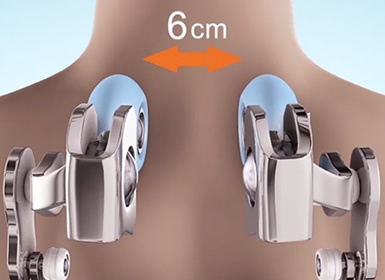 The rollers adapt and move in an S-shape system, following the shape of the spine. The width range is from 6 cm (so as not to touch the spine) to 21 cm (so as to cover the whole back). The S-shaped curve that supports the body involves a combination of back massage structures and human engineering principles, so that you may enjoy a highly accurate back massage. The width can be adjusted from 6 to 21 cm, with three width options. Equipped with air bags that follow the curves of the human arm, the chair provides a massage that wholly comprises your arms, acting on the Yangchi and Quchi points. The balanced 3D traction which originates in the air-filled bags will invigorate your arms and palms. The 40-50º C back heating function eliminates any cold sensation and backache. The wavelength of infrared radiation coincides with the wavelength of the human body, which allows the energy to be absorbed by the human cells, activating the cells and stimulating the metabolism. These two functions will satisfy the needs of your family. Any combination of massage methods and functions that you and your family may choose can be stored with the appropriate M1 / M2 memory programs. All you need to do is press the button for two seconds after hearing a certain sound, and the automatic memory mode kicks into action. With this function, you can set the massage time according to your preferences, which will allow you to enjoy a continuous massage or 10-, 15-, 20-, 25-, 30-, or 40-minute massage sessions. Due to their innovative function, the air pumps can operate in synchronization or continuously, in order to provide the motor force required for the air bags. 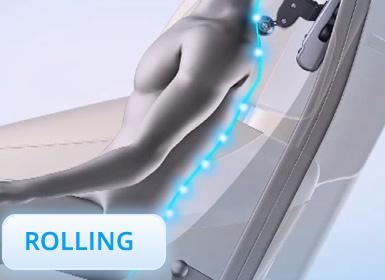 Both the relaxation massage and the strong pressure of the air bags are precise and unique, which allows you to enjoy a refreshing massage. The vertebrae are usually the cause for pain in the waist and back areas, as well as for a stiff neck. 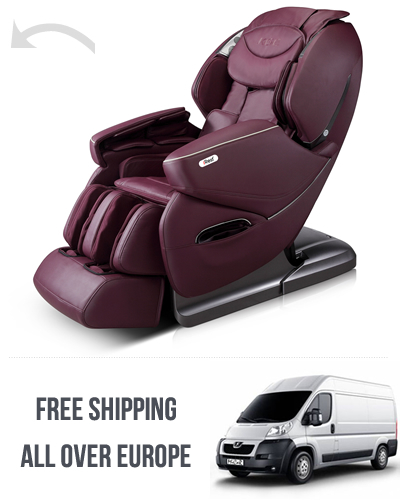 The Komoder massage chairs apply a state of the art international technology with a 3D detection function, which can identify the massage points according to your height. 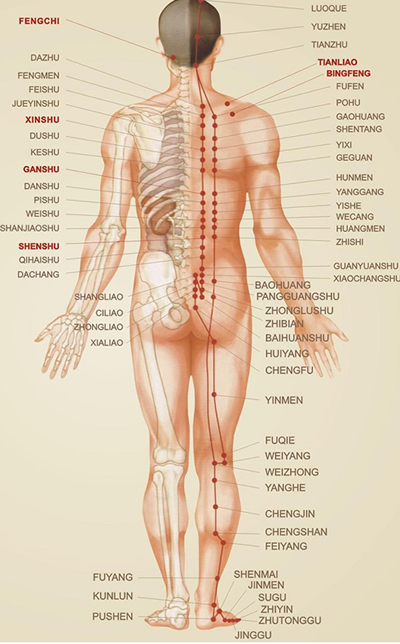 From the Fengchi point on your neck to the Yongquan point on your sole, this technology comprises 500 points on the entire body, providing you with a professional, comfortable, and invigorating physical therapy which solves the problems connected with poor health. Komoder health products are manufactured to specifications revealed as a result of medical testing. 15 minute automatic massage program that can focus on the points of your fatigue, providing you with a health service for the entire body. The advanced accuracy and strength provided by the roller system combined with a comfortable air pressure shiatsu massage relieves fatigue acquired as a result of physical exercise, providing you with a healthy body. Massage for relaxing your back and waist, actively acting on your lower back and thorax ligaments. Relaxes stiff muscles. Full pressure massage from your neck to your soles, from your upper arms to your fingertips, will offer you an unequalled massage experience for your whole body. 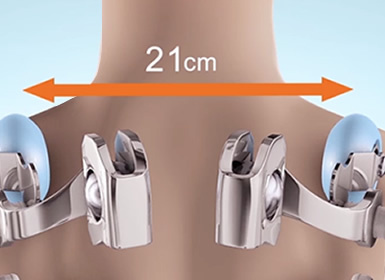 Automatic comfortable massage program for your neck and shoulders, designed to make you feel good during the massage, easily relieving pain in the cervical vertebrae. Designed to relieve muscle ache and stiffness, by stretching your back muscles, relaxing your muscles, and relieving fatigue. In the calf air bags there are 8 magnets with natural energy. 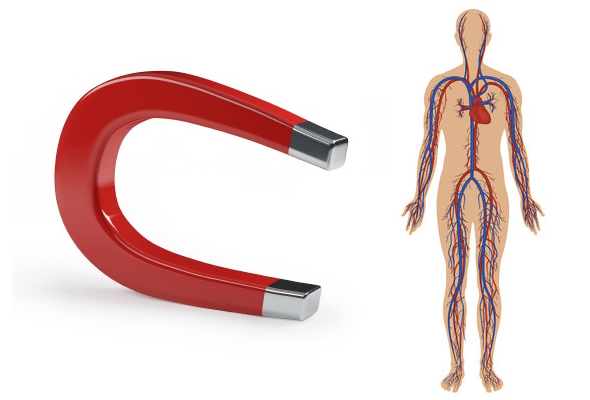 Magnet therapy can reduce cholesterol levels, it can eliminate the accumulation of free radicals in the body, and it can improve the body’s immunity, offering a host of other benefits as well. According to the national infrared and industrial electric products quality supervision and inspection center verification, it has been established that the area of magnetic intensity is 73mT, in accordance with national protection standards, whose range is 40-110mT. 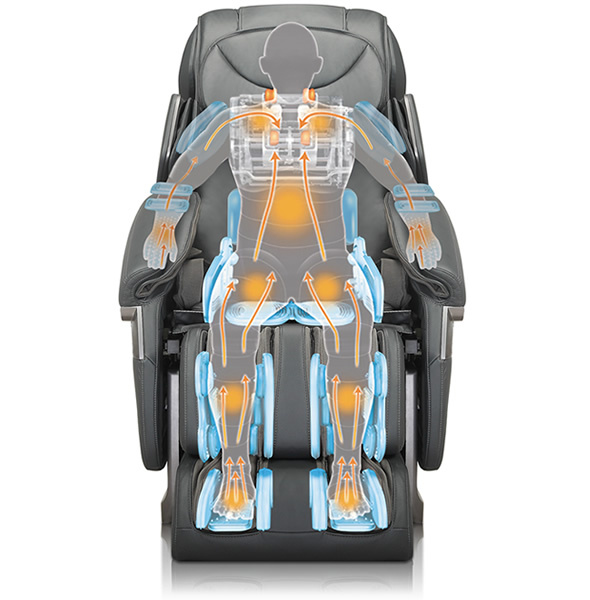 The massage chair is recommended for the elimination of muscle tension and joint stiffness, allowing you in this manner to maintain a good state of health. Stretching is achieved with the aid of the shoulder, arm, and leg massage cushions. 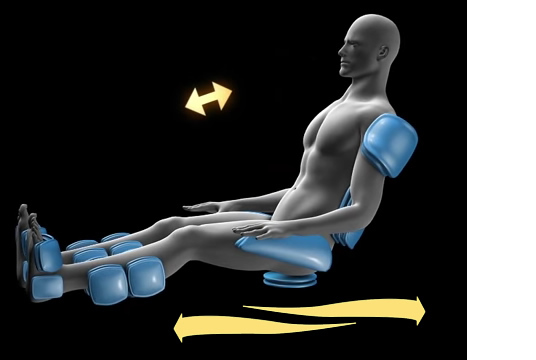 Depending on the user’s height, the calf rest can extend freely, by up to 15 cm, which ensures a full body massage, according to the individual size of each user. Presses the main body points; speed and width are adjustable. This method effectively eliminates muscle tension and stiffness, reducing the pressure on the vertebrae. The massage rollers will lightly tap your back in an up-down direction, and will activate the blood circulation in your entire back. Light tapping massage is among the best known and sought-after relaxation and massage methods. This method can press your muscles deeply, stimulating some of your main points. 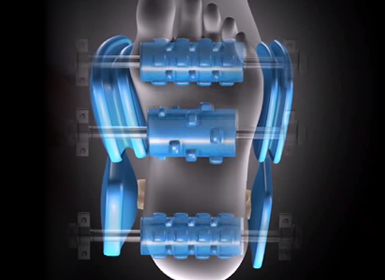 It can eliminate muscle tension and stiffness. 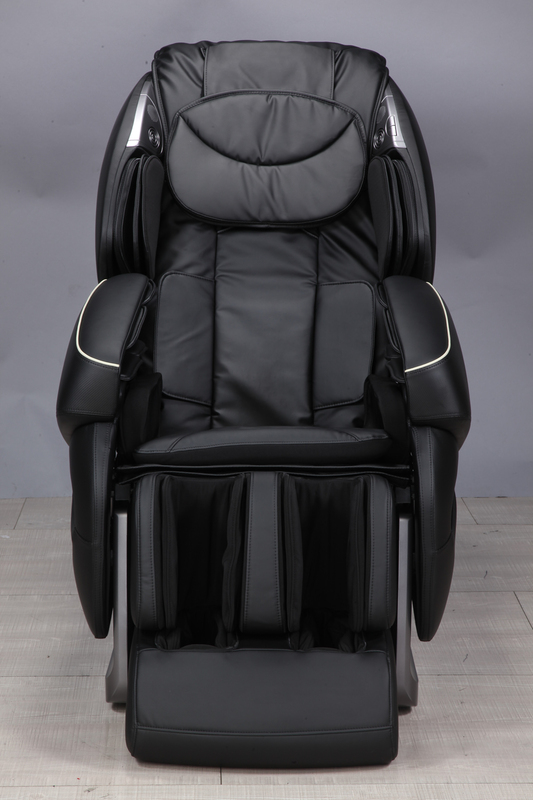 What’s more, the adjustable speed will offer you a perfect massage. 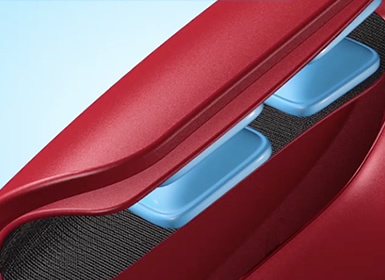 The massage rollers will lightly tap your back in an up-down direction, after which the kneading massage will kick in, and then the program will revert to light tapping again. It’s a combination alternative massage for the entire back area. The 3D massage rollers grip and knead the shoulders, relaxing the muscles and eliminating fatigue. The kneading of the massage points in an up-down direction relieves the deepest of pains. This is a massage technique whereby you will notice the accuracy of the 3D massage rollers. The entire muscle area running alongside your spine will be massaged in an up-down direction by the massage roller which will push your back, relaxing it. FENGCHI Point - Calms the liver and disperses wind, has a detox effect; recommended for headaches and toothaches. TIAN LIAO Point - Disperses wind and humidity. Clears the meridians and soothes pain; aids cervical vertebrae, stiff neck problems, etc. BINGFENG Point - Disperses wind and humidity; improves coughing, reducing expectoration; recommended for scapulohumeral periarthritis, bronchitis, etc. XINSHU Point - Soothes chest stuffiness, regulates the Qi, activating collateral, calms the nerves and improves many heart conditions. GANSHU Point - Soothes the liver and the gallbladder, regulates the Qi and strengthens the eyesight, improves many liver conditions. SHENGSHU Point - Strengthens the kidneys and supports the Yang, strengthens the waist and has a strong water-retention effect; improves many kidney conditions. NEIGUAN Point (of the highest importance for a healthy heart) - Calms the mind, regulates the Qi and soothes pain, aids the heart and improves many heart conditions. HAND SANLI Point - Clears the heart and improves eyesight, regulates the gastrointestinal system; fit for waist, shoulder or arm pain, dyspepsia and canker sores, toothaches, colds, etc. FOOT SANLI Point (of the highest importance for bodily health) - Clears the meridians, activating collateral; strengthens the spleen and stomach, helps in the case of hepatitis, enteritis, bronchitis, nephritis, etc. TAIXI Point - Nourishes the Yin and strengthens the kidneys; strengthens the Yang and the waist; fit for nephritis, cystitis, emphysema, etc. KUNLUN Point - Calms the nerves and clears the heart, clears the tendons, activating collateral; fit for sciatic nerve pain, knee arthritis, sprained ankle, etc. YONGQUAN Point - Nourishes the Yin and strengthens the kidneys, calms the liver and disperses wind; helps with sleeplessness, nervous headaches, myocarditis, etc. Reclining backrest Yes. Power backrest. 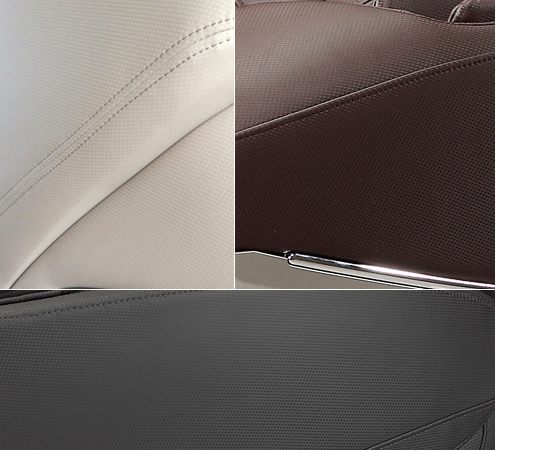 The chair is available in other colors too: beige, brown, and black. Depending on space and décor, you may choose the color that best suits your tastes. The chair is clad in the most resilient materials manufactured by Komoder. You can use your iPhone or iPad to control the massage. 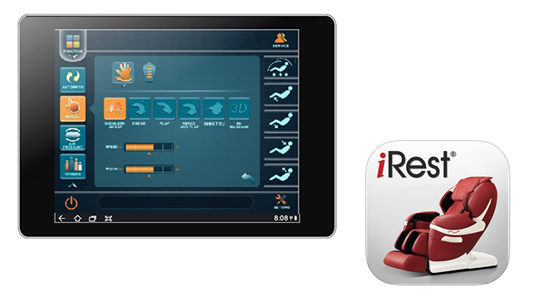 It is now possible to use your phone or tablet to control the massage. The Komoder KM7800 is the only massage chair that can also be controlled from a smart device, by using the free application launched by the manufacturer. "Thank you, I'm very happy! Everything worked very well and the chair is absolute perfect and in use. ... and I can also confirm, that you're doing a very good job as sales staff! You've given definitely the right answers on my questions and this gave me finally confidence in Komoder. Here is not standard to purchase brand products online ...and if somebody does a good job, it merits also to be said, therefore my compliments for you! "Just received the chair from a very attentive and smiling driver. Perfect. Will let you know how the assembly goes :-)"